Katharine Phillips is the leading researcher in BDD in the world. This is a revised and updated version of the original 1996 edition. The author draws on more recent research in this field and on her extensive clinical experience to give a comprehensive picture of current understanding of BDD, and practical identification and treatment guidance. There are detailed and capturing case descriptions interspersed with research findings and data throughout the book, which provides an interesting and informative read. Patients’ stories are thoughtfully used to demonstrate a variety of presentations, ranging from mild cases that cause some interference and distress, to severe cases that are overwhelming and devastating. Theories on how BDD develops are discussed in detail and include genetic and neurobiological vulnerabilities as well as psychological and sociocultural influences. Screening questionnaires are included, of use to both patients and professionals, offering a clear and practical way of quantifying and diagnosing possible BDD. However, only 4 out of the 18 chapters are given to treatment: an overview of effective treatments, a particularly thorough, specific and somewhat dry chapter on medication, one chapter on CBT for BDD, and then treatments that do not work such as cosmetic and surgical procedures. As implied by the title, this book provides a step-by-step, self-help guide to understanding and treating body image problems using cognitive-behavioural techniques. 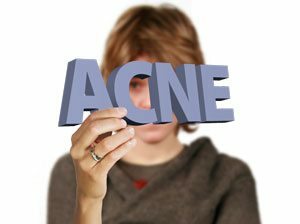 It follows a current evidence-based treatment manual directed to the patient, based on how a clinician should provide CBT for a person with body image concerns. Post-introductions, there is a single chapter with screening questions given to identifying the presence of a body image problem. The remaining thirteen chapters are a concise combination of information and actions directed to a person with BDD and designed to develop their own understanding, formulation and treatment of BDD. It is punctuated throughout with practical exercises, worksheets, common examples, and skills training techniques. The reader is guided, via an easy-to-read manual, through how to apply the cognitive-behavioural techniques. There is also a chapter on medication for BDD. The tone of the book from the outset is positive, proactive and hopeful. Declaration of Interest: David Veale and Rob Willson are trustees of the BDD Foundation. Written by American BDD expert Fugen Neziroglu, Overcoming Body Dysmorphic Disorder offers BDD individuals a practical guide to the mindfulness, acceptance, and exposure and response prevention strategies that can help them overcome the disorder. This comprehensive guide offers self-assessment tools and a complete cognitive behavioural therapy (CBT) program for reducing the effect of BDD on sufferers’ lives. Its step-by-step guidance and easy-to-follow exercises are sure to help readers with BDD move beyond their anxieties and start living with greater freedom and confidence. The emphasis of this book is on self-assessment and explanation of appearance concerns, their possible development, and understanding what maintains them. Basic CBT principles are described and examples are given for challenging existing thinking, beliefs and associated behaviours, making this book a good choice for those with milder body image concerns who are motivated to alleviate their preoccupation and distress. The content is from an American perspective. This book introduces itself as resource for clinicians treating BDD as well as a self-directed intervention for those with less severe body image problems. It promotes recovery by emphasizing the importance of balance in our perceptions and responses to body image. It is divided into two halves; the first is psychoeducational and succinctly builds an understanding of BDD in its cultural, media and peer context; the second is a step-by-step series of concise explanations complemented by clinical examples and practical guidance on how to change your body image, thinking and associated behaviours and habits to be more balanced. Unlike some of the other books discussed here, readiness for and the process of change are addressed thoughtfully and thoroughly, and individual chapters are given to self-esteem and social isolation. This is a neat and straightforward workbook for individuals with body image concerns and BDD. The approach is from an American perspective of BDD. This book accessibly navigates the reader towards changing their relationship with their body through eight clearly defined steps. It is a structured combination of theory, research and clinical examples and from the outset is hopeful, considered and empathetic. Cash competently imparts knowledge and skills to the individual, with the intention of promoting autonomy and empowerment in a sensitive manner. He encourages action and progress through the tone of the book as well as practical goal and summary sheets at the end of each step. The book is not specific to BDD but for body image problems in general. It is skillfully written and a useful tool, with over 40 help sheets suitable for use by an individual or for a clinician as an adjunct to therapy. Drawing from their clinical work and using detailed case descriptions and numerous results from studies, the authors address male body image concerns. These include ‘muscle dysmorphia’, men concerned that they are not muscular enough; eating disorders, men concerned that they are not thin enough; and BDD. The book introduces two body image symptom tests: a brief questionnaire quantifying timepreoccupied with body image, distress and associated behaviours, and a test in which the reader can adjust the body fat and muscularity of a body outline to help the clinician as well as himself to understand how he perceives his body and how he believes others see him. 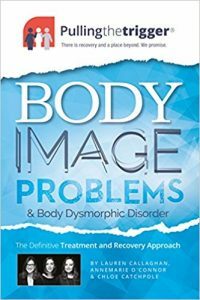 The emphasis of this book is on the identification, and the how-and-why, of male body image problems, including modern society and media influence, and gives only a brief overview of available treatments. The authors indicate that there are an increasing number of men attempting to achieve physical perfection. They highlight the shame and secrecy that exists within concerns with body image with the aim of exposing the hidden prevalence of body image problems. The UK has produced best practice guidelines for treating OCD and BDD. They are free to download and easy to read. The NICE Clinical Guidelines for Obsessive Compulsive and Body Dysmorphic Disorder (2005).